WHEN Chief M.K.O Abiola, the acclaimed winner of the nullified June 12, 1993 presidential election died in detention in Abuja in July 1998, the military had been in the process of sorting themselves out of government. I was invited by the government to participate in conducting the autopsy. It is required by law that an autopsy be carried out on a person that dies in custody. I received a phone call in my home in Uyo from Commissioner of Police, Abuja, who on giving me the information and telephone invitation, informed me of the possibilities for transportation, including flying from the Mobil airport in Eket. A short time before the call, Professor Etim Essien, the haematologist and former director of the Nigerian Institute of Medical Research, had informed me that he had let the people in government service know that I was back in the country. The call was, therefore, not a mystery to me. I preferred to travel to Abuja by a regular commercial flight from Calabar. I also advised the commissioner of police on the authorisation for a coroner’s autopsy. The personality of the deceased and the circumstances made this autopsy of great interest to the nation and the international community. The events that predated the demise of Chief Abiola in detention have been well documented in the media and books. 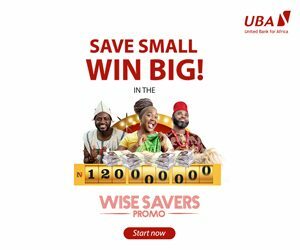 General Sani Abacha’s dictatorship had been total, and did not accept the advice, persuasion or suggestions of anyone, including the most revered persons in the world. Nigeria thus became a pariah state. He had seized power on November 17, 1993 and would permit no compromise or negotiation with the aggrieved civil populace. In the middle of 1994, one year after the election of June 12, 1993, Chief M. K. O. Abiola, widely perceived as the winner of that election although annulled by the previous military ruler, publicly declared himself the elected president of the Federal Republic of Nigeria. Upon this, he was apprehended and locked up by General Abacha in circumstances that were reported as severe. The political activities of the government such as a constitutional conference went hand in hand with the killing of critics and imprisonment of a former military head of state and other top military officers on charges of plotting a coup. 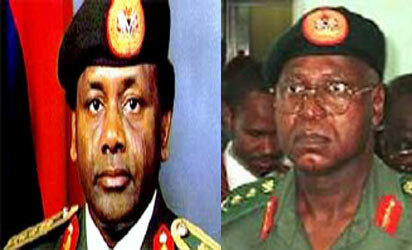 Then, suddenly General Abacha died on June 8, 1998. His death brought General Abdulsalami Abubakar as the head of state, and an amazing change in the direction of the government. General Abdulsalami promptly freed political detainees. The changes he effected were surprising, considering that the two leaders came from the same stable, namely, the Nigerian Army. Such divergence in governance hardly ever occurs in civilian administrations, one supposes, because the laws and rules of the game are more or less followed. However, Chief M. K. O. Abiola who was still in detention one month after General Abdulsalami assumed power also suddenly died on July 7, the day on which he was due to be released. As a Muslim, his body had to be released for interment in the shortest possible time. At the briefing by the Director of the State House Clinic, Dr. (later Professor) Sadiq S. Wali, I was informed, as had been announced in the media, that pathologists from outside the country had been invited to take part in the autopsy. The Ahmadu Bello University pathologist, Dr. (later Professor) Abdulmumini Rafindadi, had been appointed and I would lead the host Nigerian team of two. The panel of pathologists would be chaired by the Toronto coroner, Dr. James Young. The Head of State, General Abdulsalami Abubakar, had as I understood taken the decision in view of the immense importance of this death, that interest group, national and international, could invite pathologists to participate in performing the autopsy so long as the family and the personal physician of the deceased accepted. We assembled in a military air transport facility in Abuja in the night of July 10 to receive the body after I had met with the civilian minister of internal affairs and received the coroner’s order for the autopsy. We then proceeded to Lagos where the autopsy was to be carried out. The arrangements by Dr. Wali, working with the personal physician of the deceased, Dr. Ore Falomo and the representative of the Nigerian Medical Association were impeccable. The logistics for transportation were, of course, military. Late General Sani Abacha. and Gen. Abdulsami Abubakar (retd). Arranging for the home pathologists, the family of the deceased and Nigerian professional interest groups to assemble in Abuja for the body, and arriving in Lagos under the cover of night into a military facility succeeded in keeping at bay what would have been a large crowd of media people. On assembling with the foreign pathologists at the autopsy venue in Lagos, we were informed at about midnight that yet another pathologist from abroad representing an international human rights group had arrived at the airport. I then signed my name with my Canadian qualifications showing me as a Fellow of the Royal College of Physicians of Canada in the year 1970. This probably struck a chord with Dr. Young as 1970 was a watershed year for the fellowship in Canadian medical specialisation. It was the last year of two levels of specialisation in which the Fellow was higher than the Certificant. Dr. Young then came over and we had a pathologists’ conversation, and together arranged things satisfactory. Our position as the hosts was established. The medical examination started at 2.00 am with all the interested parties present, the family of the deceased represented by his personal physician. The facility venue was first-rate. One foreign pathologist had brought in an autopsy technician with excellent equipment which facilitated the work. The examination was detailed and painstaking, even of normal organs and tissues and every person present was shown the tissues and every abnormal finding. A description was made and recorded to the satisfaction of all. The evidence of serious and death-causing hypertensive and coronary artery diseases affecting the heart was obvious, with pinpoint narrowing of the arteries of the heart and marked thickening and enlargement of the heart. The meeting place of the participant after the examination to review the findings and reach a conclusion might have been something of a problem as the American Embassy bus that had conveyed the American pathologists picked up all the foreign participants, aiming to hold the final review meeting at the American Embassy. The bus was about to drive out of the examination venue when one of the Nigerian participants walked up to me, knelt down and introduced himself as the president of the Nigerian Medical Association. Dr. George Okpagu whom I had not recognised, had graduated from University of Calabar at the time that I was the provost of the College of Medical Sciences there. He advised that holding the meeting at the American Embassy might create an uncalled for problem. This was because some members of the American government, namely Ambassadors Williams Twadell and Thomas Pickering and the US Assistant Secretary of State for African Affairs, Ms Susan Rice had been present at the death of Chief M. K. O. Abiola. This struck me as a right and timely advice and exercising my authority, I stopped the bus. Upon quick consultation with Dr. Rafindadi, I invited all to the conference hall of the examination facility for the meeting. The hall was spacious and suitable. This incident reminded me once again to take seriously the counsel of the young, and I was particularly grateful for it. There might have been no end to this autopsy if the meeting had been held at the American Embassy. At the end, it was commented that the examination would normally have been concluded at that point in any of the countries of the participating pathologists, as the findings were commonly seen in sudden deaths. This included Nigerian in sudden deaths which occur in those that have adopted the western high fat diet. However, in the particular circumstance it was decided to carry out toxicology examination of the tissues and body fluids in the forensic laboratory in Toronto, Canada. It had been reported that the deceased had been served tea when his designated carer had not been present. I signed the release of the samples for toxicology investigation to Dr. Young to be carried out in the Toronto forensic laboratories in Ontario, Canada. We the home pathologists completed our report to the coroner showing that the death was due to the seen natural causes, and that toxicology examination was also being carried out. The findings of this autopsy were made public the following morning at an international press conference in Lagos presided over by the panel chair, Dr. James Young. All the pathologists that had participated in the autopsy were present at the press conference. It took the busy press more than two days to discover where the autopsy had been performed and about fortnight to know the name of the home pathologists. Gratefully, this meant that neither Dr. Rafindadi nor I was put on media or public pressure. Meanwhile, the day following the autopsy, a Lagos pathologist was in a national daily newspaper with his photograph and all, seemingly contradicting every finding and conclusion of panel. 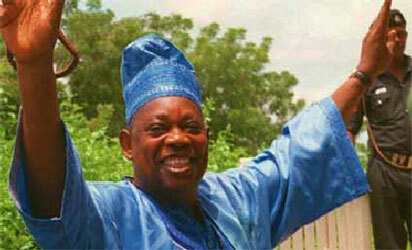 The post A call to national service: The MKO Abiola autopsy appeared first on Vanguard News.